nopa Kitchen + Bar, a new 160 seat American brasserie in the heart of the Penn Quarter. This is the award-winning restaurateur's eighth restaurant in the nation's capitol and it serves Modern American fare. The restaurant offers lively dining in the main dining room, and also offers quieter dining options and several private dining rooms. The name represents nopa's location just north of Pennsylvania Avenue and it welcomes guests for lunch and dinner, and Sunday brunch. We offer valet parking in the evenings beginning at 5:30pm for $10. One block from Gallery Place Metro- 9th Street exit. Sometimes a night is just off, and this was one of them. The food was poor, and the service was terrible. Not rude terrible. The guy was very nice. He simply had no idea about anything on the menu, and there was no sommelier, so he faked that, too. It was painful. Really poor evening. Food was fine, but not outstanding. Lots of better restaurants in the area. I reserved table via Open Table. When my reservation was confirmed, there was note saying that this restaurant was not eligible for points. I went there anyway, but what gives? Excellent food and service. Never disappoints. Sleek decor. Wonderful location. Wonderful service and exceptional food.Highly recommend this restaurant. You won’t be disappointed. Food was excellent, expensive, but worth it for a nice night out! Went here for pre-theatre holiday dinner. Wonderful! The holiday market outside was sparkling and visible through the restaurants tall windows. Terrific cocktails, beautifully prepared food, a dining room spacious enough to spread out (and easy navigation around the table by one of our group on crutches). My son pronounced the salmon the best he’d eaten all year. We shared a medley of vegetable sides. Delicious! We’ll be back. Lunch menu was filled with interesting items including an outstanding soup--server shared that the chef does great soups and he was right! Excellent service with just the right amount of help to select what to order. 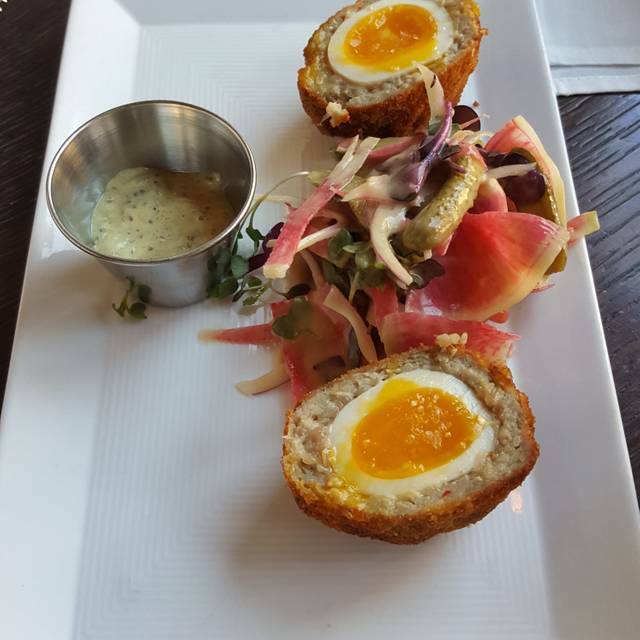 Deviled egg appetizer was beautifully presented and delicious! Will definitely return soon. All around a good restaurant in an interesting part of town. 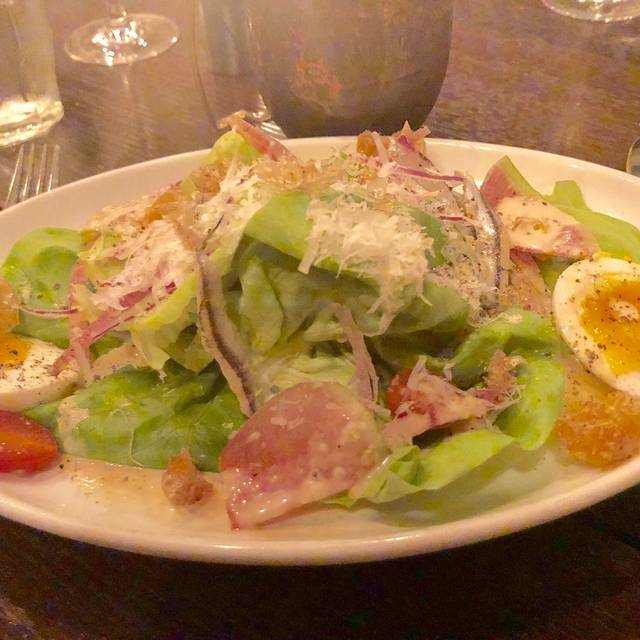 We were looking for a place to eat next to Capital One Arena in DC and came across NoPa. Bottom line up front: The food is amazingly good! The service was very good, the decor is a cute townhouse with fireplace, and they have sound dampeners everywhere (including under the tables) so you can have a conversation without straining your voice. All great, but truly the food was the star here. We had the special Lamb Ossobuco which was, no exaggeration, one of the best dishes I've ever eaten. They may put it on the main menu, which means we will be visiting NoPa often. 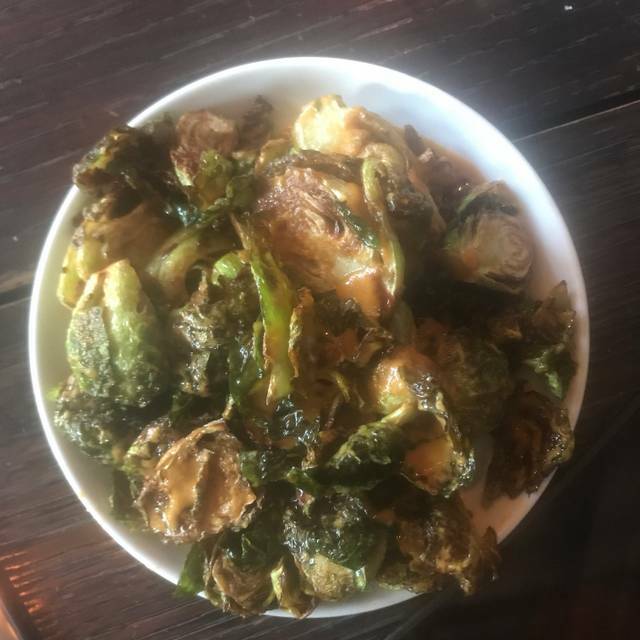 We also tried the crispy Brussels sprouts, and again loved them. Our picky eater teens gobbled up the Brussels sprouts without even a pause. They all ordered the angus hamburger and there was not a crumb left on any of their plates. It was that good. We really enjoyed the ambience, but will definitely return to NoPa for the food. I’m a NoPA groupie; best place in the neighborhood for a meal or a drink. Service and value outstanding. Ambience: no attitude which I treasure. Plus, location is superb for 7th-9th Street corridor. Can’t recommend highly enough. The food and ambiance were excellent but the service was spectacular! The manager,front desk and waiter combined to provide a very pleasant evening. Love this restaurant - great location, always great food and a changing menu. Every time we go there's a little something different to try. 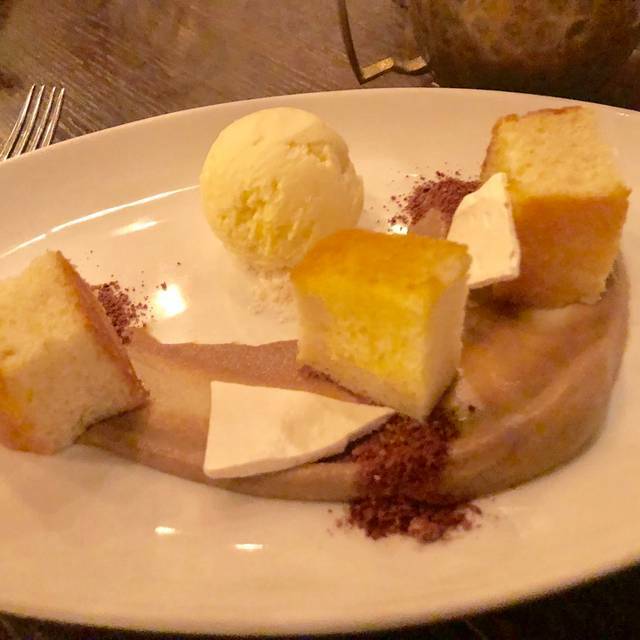 And though we always go in saying 'no desert this time', we end up walking out talking about how good the desert was! The bottomless mimosa deal was amazing for brunch, and the location was perfect to walk around to all of the museums after! NoPa was delicious. Our server was great and gave us wonderful recommendations that we were happy to take. The inside of this restaurant is so cozy and delightful. Our group had Brussels sprouts, sea bass, short ribs and fried apple pie. Everything was great! Nice wait staff . Food was so so and very small servings for the money. Felt like I was paying for the name. Just a nice quiet dinner out. Great staff. Another very pleasant return visit to a favorite, for its food, friendly staff, and on a bright day outside, for its big windows to enjoy the light. The restaurant was excellent. Sadly they didn't have one of the main meals that sounded so delicious - but there were other items on the menu I was able to select. from the very effecient , attentive service to the extraordinary food our experience was wonderful. I was eating light on this wintery night and choose the pumpkin soup. The soup with those divine buttery rolls hit the spot. My husband had the salmon which was cooked just then way he likes it crispy on the outside and flaky tender on the inside. I had to resist ordering a second Moscow mule made with their homemade ginger beer. we will return to try the rest of the menu. We really enjoyed our meal. Sea bass and mussels are amazing. We also loved the lime tart. We enjoyed a delicious dinner and attentive service after a day at museums in the area. They were very welcoming on a stormy day and we quickly turned our attention to the interesting and fresh menu. Just what we were looking for... not the same old Italian, something really unique. 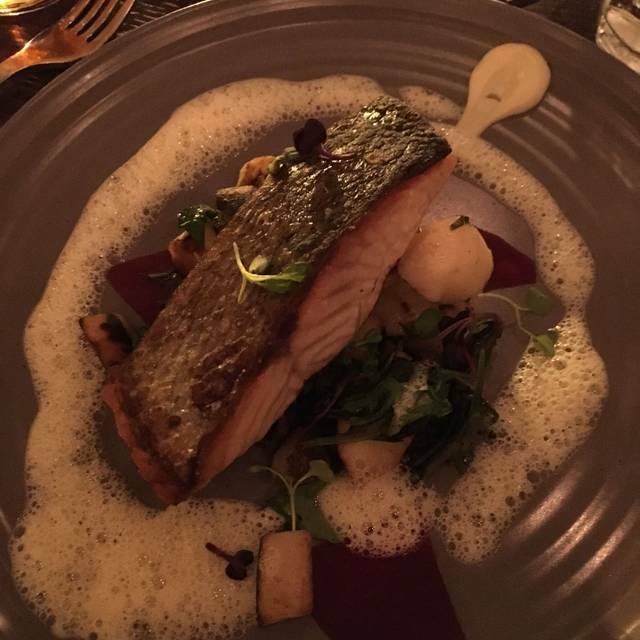 I had a fantastic sea bass prepared with an Asian accent. Let me just say YUM! NOPA is a hidden gem in the heart of the city. Relaxed, elegant, beautifully laid out, the bar area is a great place to stop off for a cocktail and quick bite while the dining room offers a warm ambience conducive to an unrushed, impeccable dining experience. 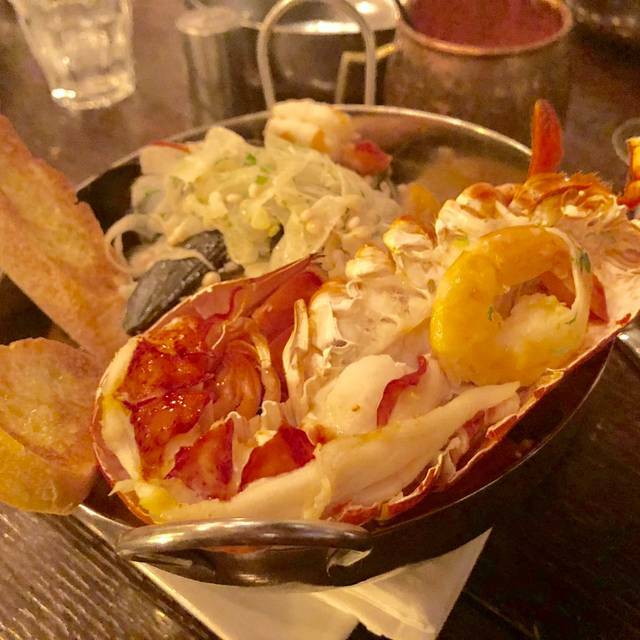 Menu is small but varied with creative, delicious and beautifully presented plates, wine list is excellent, service is terrific; personal, friendly without being overbearing. It’s quickly becoming a favorite! i have enjoyed this restaurant many times. For my recent visit I arranged to have 3 friends join me for a pregame dinner with bottle of wine. we all ordered the short ribs. very tasty but they all came out (of the microwave?) not very hot. Also, when we asked for the check to be split four ways, two persons received the right dollar amount, another got twice the correct amount, and the fourth got a tab for the whole bill. Really disappointing. Made reservations here for 3 of us on a Wednesday night. We were seated quickly and staff was very friendly and helpful. We all ordered different things and everyone was very happy with their meal. Overall we were pleased with food, service and environment. I didn’t rate 5 stars simply because of the cost. We live in DC and expect higher costs and we eat at a large variety of places. Although the whole experience was great, I feel the cost was higher than it should have been. Out of town guests were staying at Hotel Monaco and asked me to join them for Sunday night dinner. At my suggestion we came to NOPA. This was my third or fourth visit and I have never been disappointed. Everything was delicious. I was very surprised at how slow it was though. Hope this is not an indication of how things are going there? Highly recommend NOPA. Very good food. The NoPa burgers was awesome. Wife loved the short ribs. Food came out quickly and staff was very helpful. We had great seating by the big bay window and service was amazing. Wine list was impressive. However, food was not that great. Very few choices to pick from and not many small plates to go with wine. Lovely time, as always. We feel so welcomed and so well taken care of by all on the staff. I appreciate that the host had read our request to be seated in a warm spot (which we include in our open table reservations). We had a nice evening of drinks & dinner & made it to our show on time without feeling rushed or delayed. I went to NoPa with a friend. We were early, so we had tea in the bar area. When we finally did have dinner, the food was delicious -- particularly the entrée, which was superb. The service, from the bar manager, to the maitre d', to the server, was impeccable. We felt extremely well cared for. Always an interesting menu with lots from which to choose. There were two of us, and we ordered several appetizers to share: duck bratwurst, (pork) meatballs, fall salad, and brussel sprouts. It was plenty of food for two, especially with the terrific dinner rolls. Nice list of wines by the glass. My only "complaint" is that the dinner rolls were not hot, fresh and fluffy as they have been in the past. It seemed to me that they were either day-old or microwaved. Still delicious. The wait staff are friendly, competent, and attentive. The building is gorgeous and so well located. It's one of our favorite pre-theater restaurants. We had a dinner for a party of six on Monday which is, of course, generally a slow day. Perhaps due to that, we were lucky to receive almost undivided attention from our very knowledgable server who explained in great detail how the kitchen sourced the food locally and how every dish was made from scratch in-house. The food was indeed of excellent quality and we really enjoyed the experience. The portions were not huge but quite satisfying, and all the meals were cooked perfectly. We went to Nopa before a Caps game. The food was super. One of had salmon. Two had short ribs and one a burger. The entrees were all delicious. The rolls are to die for! Our waiter was fun and right on the spot. It a great destination in Penn Quarter.